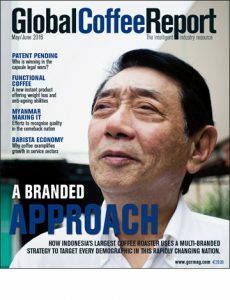 Global Coffee Report is the coffee industry’s most respected business publication, providing updates on industry developments and trends from around the world. 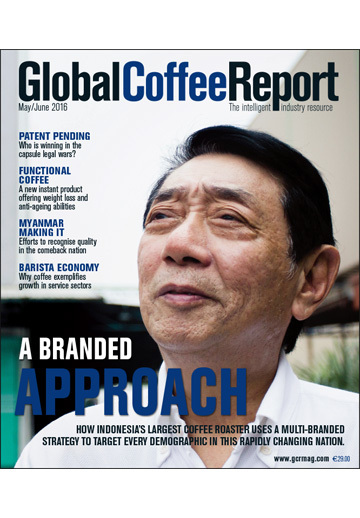 With a team of correspondents, Global Coffee Report is a true business and news resource. The magazine’s strong editorial team is engaged with key decision makers. Leading industry executives regularly feature on the cover of the magazine. 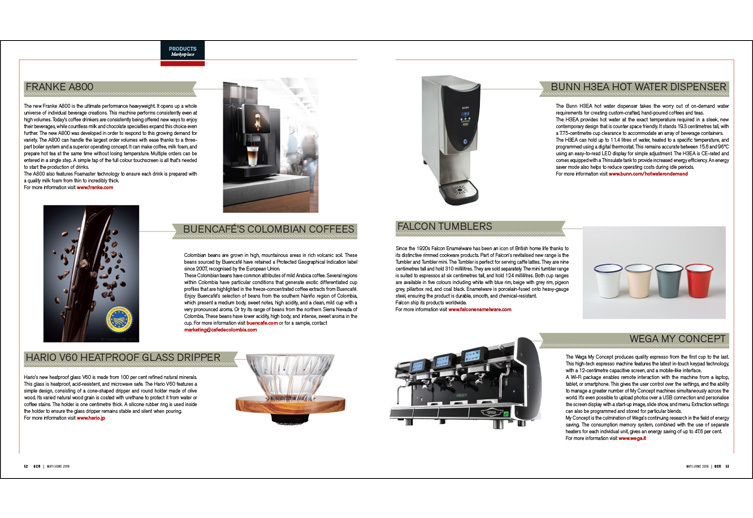 Since its inception, Global Coffee Report has been designed as a true multi-media publication, providing digital and print touch points to maximise communication and engagement. Leadership level of major coffee businesses around the world. 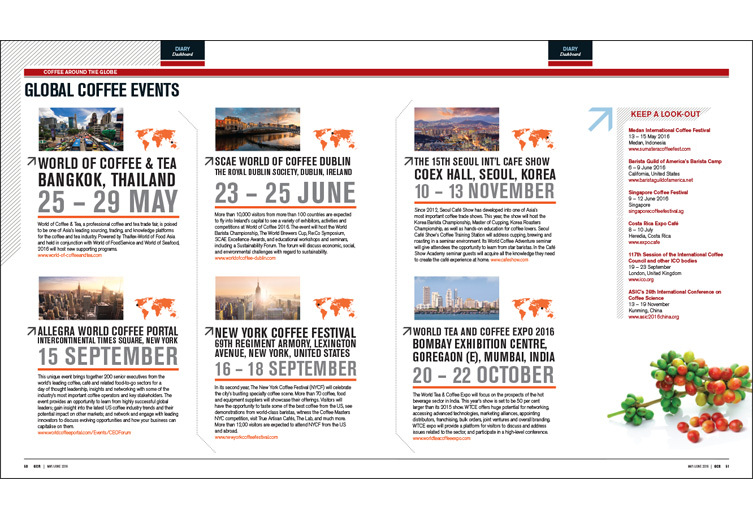 Global Coffee Report benefits from active subscription promotions campaigns that ensure more and more readers are engaged with the publication. The magazine is distributed at major trade shows across the planet. 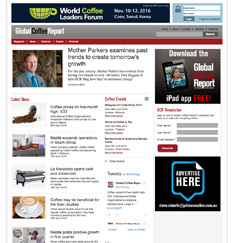 The Global Coffee Report web site a world leading digital coffee journalism resource. As a Google News recognised site, it is updated daily with the top stories, all free to view. All magazine content is featured in a fully searchable digital format, in line with the trends of most modern news sources. All content produced with commercial partners is free to view, and featured prominently on the website. Global Coffee Report is available to download via an App available on the iTunes Store. 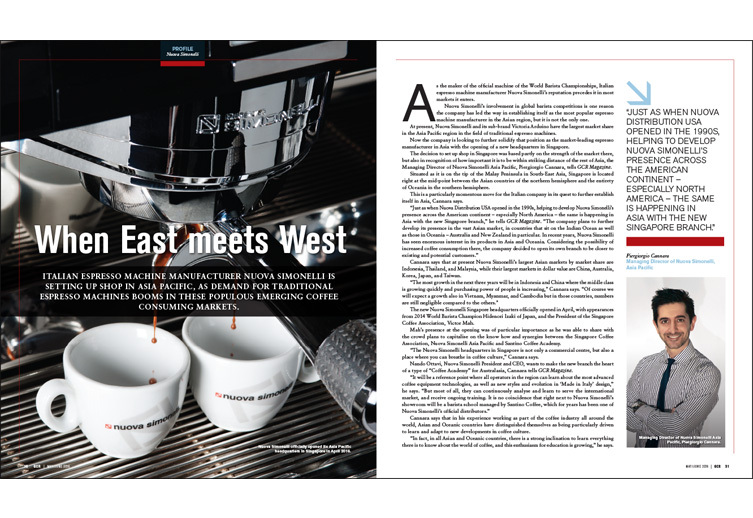 Via the app, readers can view Global Coffee Report on an iPad in a fully searchable format, with the ability to easily bookmark and save articles, and share information with friends. 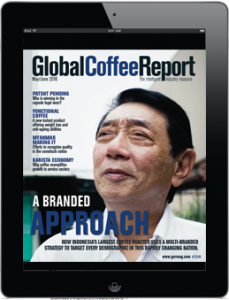 Global Coffee Report is also available as a digital magazine via Google Play for Android devices. 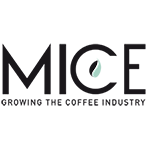 The coffee community is highly active on social media, and BeanScene’s Instagram, Twitter and Facebook channels have become popular icons for the industry. 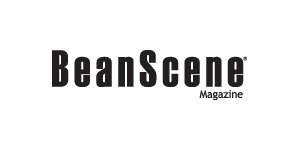 BeanScene’s social media channels have proven a powerful medium for communicating with its dedicated followers.